What is Energy & Vibrational Healing? Energy and vibrational healing is a gentle non-invasive therapy. 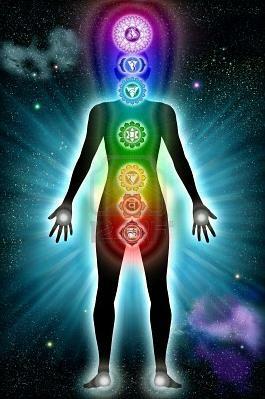 It heals the physical manifestation of dis-ease which results from imbalances in the human energy field. These imbalances are created by mis-perceptions of events encountered during our early years of life that are reflected on the body’s energy system. These ultimately create physical dis-ease and dysfunction. Energy and vibrational healing usually requires light placement of the practitioner’s hands over different areas of the client’s body. It is normally carried out with the client lying on a therapy table, in order to promote good relaxation. The session may leave you feeling in a rather different state than usual, so that it is best not to drive immediately after a healing. What Are the Healing Techniques Used? A more in-depth description can be found in Barbara Brennan’s books, Hands of Light and Light Emerging. How Much Does a Healing Cost? The current Cost of a Healing with Guy is £85. Payments are accepted by clicking on the Paypal button on the “Healings Page”. Contact Guy for more information or to book a healing session.